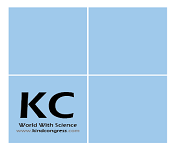 The International Conference on Clinical Ophthalmology and Oculoplastic Surgery which is going to be held during May 24-25, 2018 at Osaka, Japan which brings together a unique and international mix of large and medium pharmaceutical, biotech and diagnostic companies, leading universities and clinical research institutions making the conference a perfect platform to share experience, foster collaborations across industry and academia, and evaluate emerging technologies across the globe. Oculoplastic Surgery 2018 maximizes the opportunity to interact with and learn from your peers from across the country and across the globe it held with the discussions on Retina and Retinal Disorders, Cornea and External Eye Disease Neuro-Ophthalmology, Glaucoma: Visual Field Loss, Ocular Microbiology and Immunology, Novel Approaches to Ophthalmology Therapeutics and many more. Retinal disorders, optic atrophy, and lesions of the higher visual pathways are the main anatomical causes of visual loss in children. WHO reports that, 285 million people are estimated to be visually impaired worldwide: 39 million are blind and 246 have low vision. About 90% of the world’s visually impaired live in low-income settings 82% of people living with blindness are aged 50 and above. Globally, uncorrected refractive errors are the main cause of moderate and severe visual impairment; cataracts remain the leading cause of blindness in middle- and low-income countries. 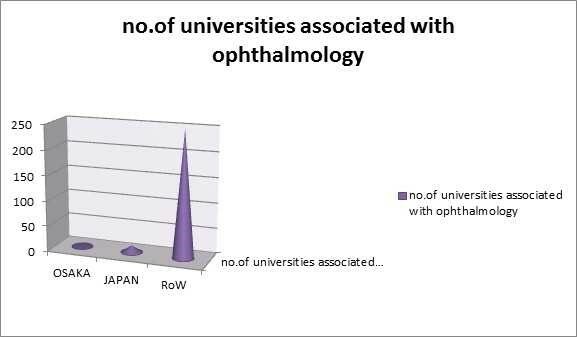 Many European associations are involved in Ophthalmology and many eye banks are actively promoting the donation of eyes in Europe, addressing a gap in the ophthalmic market, the global ophthalmic market was valued at $10.3 billion in 2010 and is estimated to reach $13.2 billion in 2017. With members from around the world focused on learning about clinical ophthalmology, this is the single best opportunity to reach the largest assemblage of participants from the ophthalmology community. 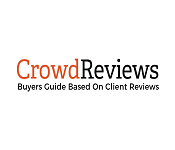 Conduct workshops, distribute information, meet with current and potential customers, make a splash with a new product line, and receive name recognition at this 3 days event. World-renowned speakers, the most recent techniques, tactics, and the newest updates in field of ophthalmology are hallmarks of this conference. 9th International course on ophthalmic and oculoplastic reconstruction and trauma surgery 10-12 January 2018 Vienna, Austria; Asia-Pacific Academy of Ophthalmology Congress 8-11 February 2018 Hong Kong; Congress of the Société Française d'Ophtalmologi 5-8 May 2018 Paris, France;4thInternational Symposium on Ocular Pharmacology and Therapeutics 1-3 March 2018 Tel Aviv, Israel; Florence Retina Meeting 6-9 June 2019 Florence, Italy; World Congress of Ophthalmology 16-20 June 2018 Barcelona, Spain; 2nd International Conference and Expo on Cataract and Advanced Eye Care 14-16 June 2018 Rome, Italy; International Meeting on Neuro-Ophthalmology and Vision Science 21-22 March 2018 Bali, Indonesia;19th Global Ophthalmology Summit 26-27 February 2018 Berlin, Germany; International Conference on Cataract & Refractive Surgery 26-27 July 2018 Melbourne, Australia; International Conference on Oculoplastic Surgery and Clinical Ophthalmology 24-25 May 2018 Osaka, Japan. Oculoplastic surgery largely consists of traditional approaches to many of the encountered diseases. Our specialty has well-established methods for most surgeries and we use our good old fashioned surgical instruments, but advances are continuously being made to improve patient outcomes while at the same time abiding by sound surgical and medical principles according to anatomy. These advances are made in both surgical and non-surgical approaches to functional and aesthetic oculoplastic surgery. There has been a lot of excitement in ocuplastic surgery recently. New surgical techniques, many of which are less invasive, new cosmetic tools with particular utility around the eyes, and new team approaches have fueled the excitement. The aging baby boomer population has increased demand for cosmetic procedures; the ability to work outside the traditional insurance system has added momentum to the interest and curiosity of ophthalmologists. Indeed the accreditation given to American Society of Ophthalmic Plastic and Reconstructive Surgery by the Accreditation Council for Graduate Medical Education will ignite the debate over sub-specialty board certification for ophthalmic plastic surgery. A global platform aimed to connect ophthalmic industries, Proposers, Entrepreneurs and the Investors worldwide. With a vision to provide and facilitate the most efficient and viable business meeting place for engaging people in constructive discussions, evaluation and execution for a promising future in the field of ophthalmology. The retina is a thin layer of tissue on the inside back wall of your eye. It contains millions of light-sensitive cells and other nerve cells that receive and organize visual information. Your retina sends this information to your brain through your optic nerve, enabling you to see. Retinal degenerative disorders such as Age-related macular degeneration and Myopic macular degeneration affecting young and old from many cultures, races and ethnicities. The central area of the retina contains a high density of color-sensitive photoreceptor cells called cones which are responsible for color vision and hence any defect and alteration in the central area of the retina will lead to Color vision defects. On the other hand diseases like Diabetic retinopathy and Retinal tumors can also be responsible for the permanent vision loss if it is not treated on time. Historically, retinal disease has had a low priority in prevention of blindness programs in developing countries. There are several reasons for this. Firstly, it was thought that retinal disease was an uncommon cause of blindness in the developing world; secondly, that the results of treating retinal disease did not justify the effort and expense involved; and, thirdly, that the equipment required was too costly and unreliable for use in a developing country environment. Finally, there is a lack of skilled personnel with sub-specialty training in retinal disease. John Hopkins School of Medicine, UCSF School of Medicine, David Geffen School of Medicine and Mayo Medical School are the leading institutes associates with ophthalmology. Strabismus is a vision problem in which both eyes do not look at the same point at the same time. Strabismus most often begins in early childhood. It is sometimes called crossed-eyes, walleye or squint. Strabismus can be treated surgically or non-surgically. This condition is ideally treated as early as possible (particularly in children) so that it does not progress to require extensive corrections. There are a number of non-surgical treatments for strabismus, all of which put the weaker eye to use in order to strengthen it. External eye disease encompasses a very diverse range of conditions. At one end of the spectrum, it includes conditions which form the “bread and butter” of general or primary care ophthalmology, whilst at the opposite end of the spectrum it includes some conditions which may require very complex surgical or systemic treatment. Ophthalmic pathology focuses on diseases of the eye and its neighboring tissues. Precision diagnosis of diseases is provided by the ophthalmic pathology service. Diseased tissues are examined macroscopically, microscopically and on the ultrastructural level. Advanced genomic, proteomic, and cytogenetic techniques can be utilized to diagnose diseases at a molecular level. The pathologic diagnosis of the disease plays a vital role in patient care. Ophthalmic pathology is a laboratory-based discipline which provides an essential service to ophthalmologists and related professionals by examining samples taken from patients in order to provide a diagnostic opinion. Ophthalmic Pharmacology is the study and utilization of medications to both analyze and treat ailments of the eye. There are different microbial maladies of the eye like Fungal contaminations of the cornea, which are uncommon yet may happen after agrarian wounds or in hot and moist atmospheres, orbital mycosis is even rarer, and for the most part happens after spread from the paranasal sinuses. Expanding age, debility, or immunosuppression improves probability and seriousness of illness. Translational Ophthalmology is a latest trend that bridges the gap by achieving breakthrough discoveries to patients faster than ever. Translational Research is a new initiative of the National Institutes of Health (NIH) which aims to translate basic research into more advanced form to yield the better results. The research trend discoveries maximize the opportunities to investigate the issues very minutely to decrease the risk of failure especially during surgical procedure like cataract and refractive surgery. Many fruitful facts have been discovered which indirectly helps in treating the respective conditions such as Age-Related Eye Disease Study (AREDS) proved that nutritional supplements (nutrition and ophthalmology) could minimize the risk of AMD. The American Health Assistance Foundation, dedicated to eradicating age-related degenerative diseases, estimates that up to 11 million people in the United States have some form of AMD - a number expected to double by 2050. Estimates of the global cost of visual impairment AMD causes are $343 billion, including $255 billion in direct health care costs, according to the foundation. Ophthalmology represents 18 percent of the average case volume in surgery centers, second behind GI/endoscopy (25 percent). The average surgery center performs 4,869 cases annually, which would average to around 876 ophthalmology cases annually, according to VMG Health's 2009 Intellimarker. Imaging of the eye is critical to improving the diagnosis, assessment of severity and progression, and evaluation of management of eye disease. Advances have been rapid, with improvements in hardware (such as light sources and imaging chips), optics (such as adaptive aberration compensation) and software (such as image tracking). Imaging of the eye allows changes in its anatomy and physiology to be observed and assessed. Although great advances have been made in imaging chip technology (which has enhanced slit-lamp and fundus photography), imaging of the eye can also be achieved using reconstructed images. Advances in ophthalmic drug delivery systems such as Punctal Plugs, Ocular Therapeutix, Mati therapeutics (QLT) and gel-forming drops can be breakthrough in ophthalmic research and advance drug delivery system to maximize the therapeutic effect of a particular drug. Topical combination of corticosteroid & anti-infective agents, Drugs used in the treatment of allergic conjunctivitis, Oral & topical nonsteroidal anti-inflammatory agents (NSAIDs) and Retinoblastoma chemotherapy are few developed formulation to treat ophthalmic diseases. Companies like Allergan, Pfizer, Bausch + Lomb, Merck & Co. and Regeneron are actively participated in ophthalmic research and drug development. According to visiongain (Ophthalmic Drugs: World Market Prospects - 2013-2023; October 2013), the worldwide ophthalmic market was $17.5 billion in 2011 and is expected to grow to $34.7 billion by 2023, representing a 5.9% compounded annual growth rate. The field of Ophthalmology: Ocular treatment & care is growing rapidly and its development is making tremendous impacts in medical and health sciences and pharmaceuticals. The importance and significance can be gauged by the fact that it has made huge advancements over the course of time and is continuing to influence various sectors. Oculoplastic surgery and clinical Ophthalmology 2018 conference will concentrate on latest and exciting innovations in areas of eye surgeries, diagnostics and recent technologies towards eye care. It will also provide an excellent opportunity to meet the leading Ophthalmology Congress 2017 Conference is designed to comprise of Keynote sessions, Workshops and focused symposium on latest developments in the field of one of the sense organ Eye health. The three-day Ophthalmology -2017 conference includes major sessions on detailed overview on Retinal diseases and disorders, Research Trends in Surgical and Medical Ophthalmology, Novel Approaches to Ophthalmology Therapeutics, Ocular-Pathology, Optometry and vision science. Ophthalmology Summit 2017 also acts as a platform to exchange information, new interventions and strengthen the collaboration among Ophthalmologists, Optometrists, Researchers, Associate Professors, and Scholars from both academia and ophthalmic Institutes. · 285 million people are estimated to be visually impaired worldwide: 39 million are blind and 246 have low vision. · About 90% of the world’s visually impaired live in low-income settings. · 82% of people living with blindness are aged 50 and above. · Globally, uncorrected refractive errors are the main cause of moderate and severe visual impairment; cataracts remain the leading cause of blindness in middle- and low-income countries. · The number of people visually impaired from infectious diseases has reduced in the last 20 years according to global estimates work. · 80% of all visual impairment can be prevented or cured. · Cataract removal is the most commonly performed ophthalmic surgical operation. The NEI is operating under a continuing resolution (H. R. 2775/Public Law 113-46), which provides $195M to fund operations. See http://grants.nih.gov/grants/guide/notice-files/NOT-OD-14-012.html. $10M is allocated to Research Management Support, $24M to the Intramural Research Program, and $161M to Extramural Research. In addition to being the fastest growing market for pharmaceuticals, accessible patient populations and the growing infrastructure for quality conduct of clinical trial makes Japan attractive for global clinical development and a need for local regulatory authorities to quickly bring their processes and guidelines up to date and in alignment with the changing clinical trial environment in each country has emerged. Efforts toward regulatory collaboration to bridge the gap between different countries’ requirements are underway. This has led to a certain degree of convergence for regulatory principles and pathways while implementing local regulatory changes in a way that is compatible with local environments. And more over Japan tourism attracts more than 8 million people every year from around the world, which has more than 16 world heritage sites. 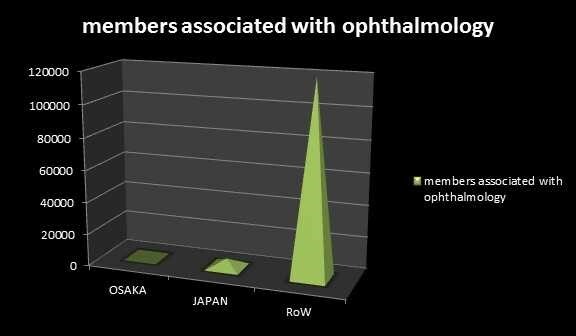 And statistics shows that the highest % of people visiting Japan are not just from Asian countries but also from all around the world, this makes Japan a most preferable destination for the Ophthalmologists 2018 conference. Osaka is the most populous city in the Japan which is developed very rapidly and become the attraction for all kinds of investments. It is the tourist hub and known for the luxury and comfort and thus it makes the perfect destination for Ophthalmology 2018. A booming population, growing prevalence of lifestyle diseases and mandatory health insurance policies are fuelling the growth of private sector firms in the Japan’s healthcare industry. Japan’s private hospitals were valued at $1.75 billion in 2013 but are expected to reach $3.23 billion by 2020, according to a new report by research firm Colliers International. The report revealed that population growth, prevalence of lifestyle diseases, introduction of compulsory health insurance along with the emirate’s push to become a medical tourism hub are expected to drive the growth of the private sector in Japan’s healthcare industry. 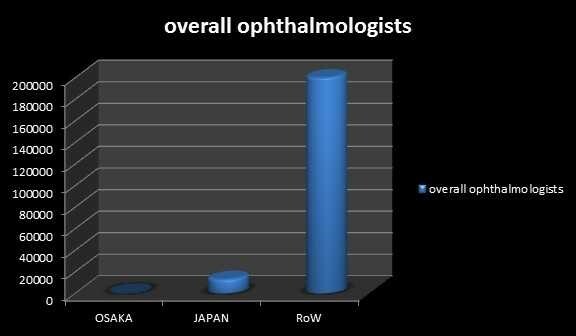 According to the statistics provided by International Council of Ophthalmology (ICO) the number of people who are associated with ophthalmology research are >35,>5500and >120000 in Osaka, Japan and Rest of the World (RoW) respectively. • American Autoimmune Related Diseases Association, Inc. 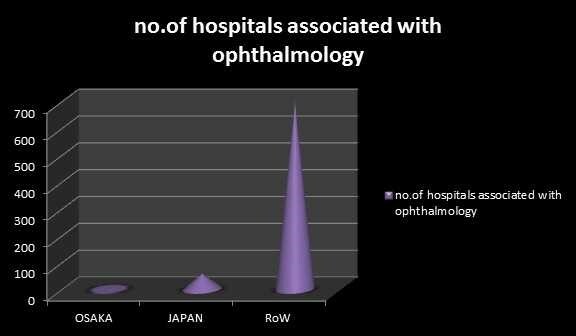 Number of hospitals associated with ophthalmology research in Osaka are only 2, they are Osaka university hospital and Osaka state university hospital, and there are approximately around 60 hospitals associated with ophthalmology research in Japan and in the rest of world there are around 700 hospitals (app) associated with ophthalmology research . 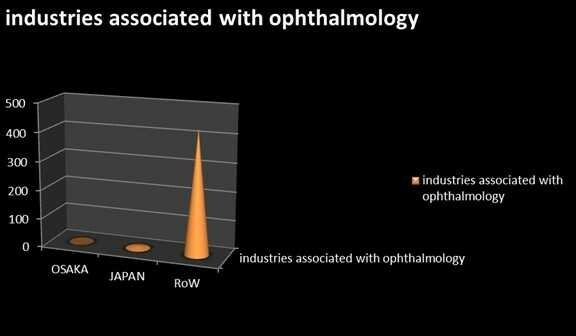 According to the statistics provided by ICO there are only two societies associated with ophthalmology in Osaka and four in Japan and more than 5000 in RoW. 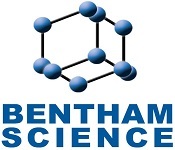 Changing trends in diet and lifestyle as well as increased long life are growing the market for ophthalmological treatments: the global ophthalmic device market is expected to reach $28 billion by 2016 exhibiting a 2.5% compound annual growth rate from 2009 to 2016, according to GBI Research. “The worldwide ophthalmic products market beats $22 billion (US) and is rising at more than 10% per year. 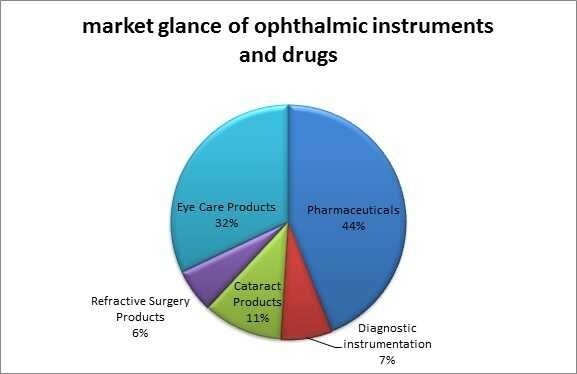 Without the supplement of consumer eye care products, the ophthalmic products market is coarsely a $17 billion market.” Rising of call for ophthalmic devices and increasing healthcare coverage in emerging economies will rise sales to 2024.The medical device market of Japan is mainly comprised of medical equipment’s such as consumables, orthopaedic devices, dental devices, respiratory devices, and ophthalmic devices which are manufactured in Germany, France, the UK, Italy and Spain. 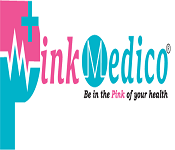 The demand for medical devices has been increasing owing to a growing awareness for early diagnosis and treatment of uncountable disease states in Japan. The key countries that have contributed significantly in developing medical devices market during 2008-2013 include Germany, UK, Spain and France. Germany is one of the chief medical instrument development markets and it has been observed that the country contributes immensely to the exports of medical devices. The rise in growth curve in revenue of ophthalmic instruments and drugs will not only be seen in developed countries, but also in developing countries like India, China, Brazil, South Korea and Russia in particular will see equally high revenue growth by 2024. According to the statistics provided by ICO there are app 60-70 ophthalmologists in Osaka and more than 13000 ophthalmologists in Japan and app.200000 ophthalmologists worldwide. 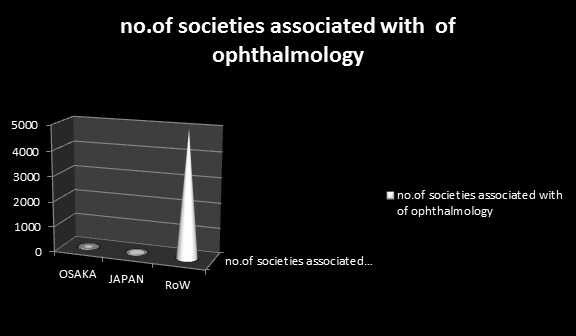 Among them 60% of ophthalmologist are into surgery and in Japan alone 50% of ophthalmologists are into surgery and around 1000 ophthalmologists are residents.